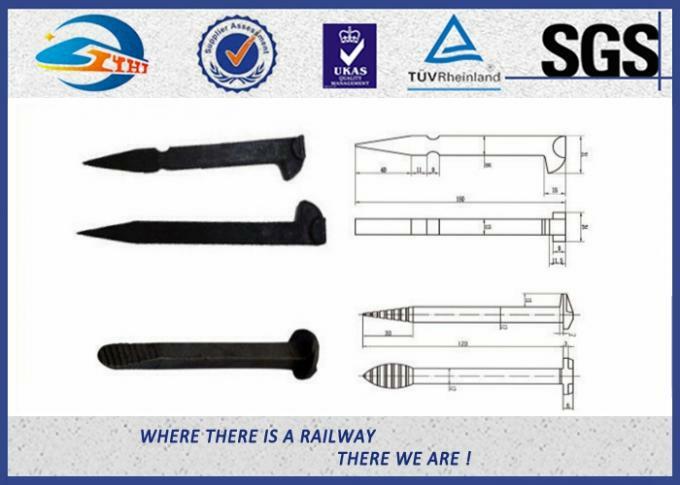 Zhongyue specialize in producing rail fastening , track spikes are our main products, which is in accordance to DIN/GOST/ AREMA /GB/TB standard , below is some of our main products . 3/8"×6" . 3/8"×8" . 3/8"×10" . 1/2"×10" . 1/2"×12" . 3. 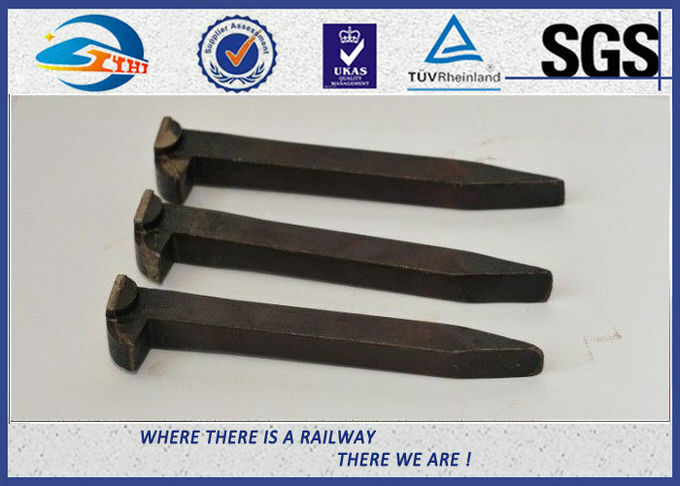 Rail spikes are used for BS80LBS.75LBS & 90LBS rails , in addition to our normal products , their shape and dimension can be produced and designed according to the specification of our customers . Their size can be 12mm .13mm.16mm , the length can be adjusted to client requirement . 4. Dog spike with square shank as per AS1085.8 ,16mm square .19mm square &22mmsquare are available and round shank 16mm .19mm &22mm for Australia Market . 5. 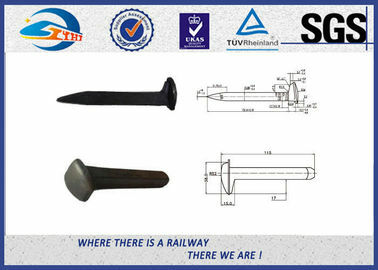 Special rail spike are also available , such as 12×12 ×120. 14×14×140 .16×13×150 . 6. We also can produce the lock spike with many sizes according to our customers' requirement . As a leading manufacturer of rail fastening in China , SUYU also can produce many other railway fasteners , such as track bolt . Sleeper screw . 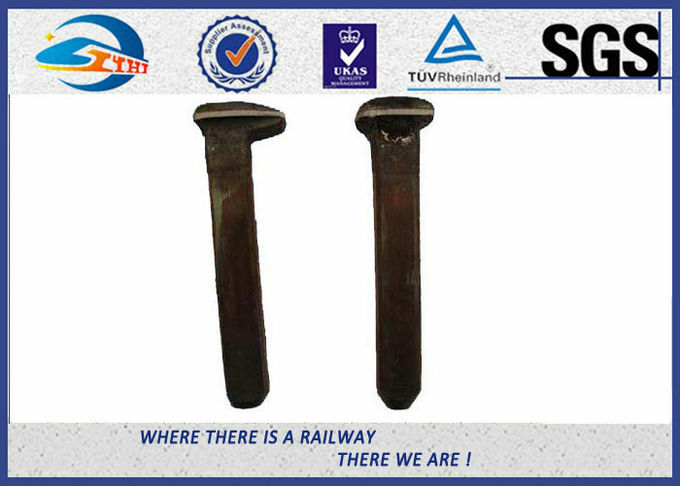 rail anchor .rail joint bar . tie plate .rail clips ,elastic rail clip .SKL tension clamp .rail shoulder and so on . Sticking to the “quality first” policy, SUYU pays great attention to quality control management. 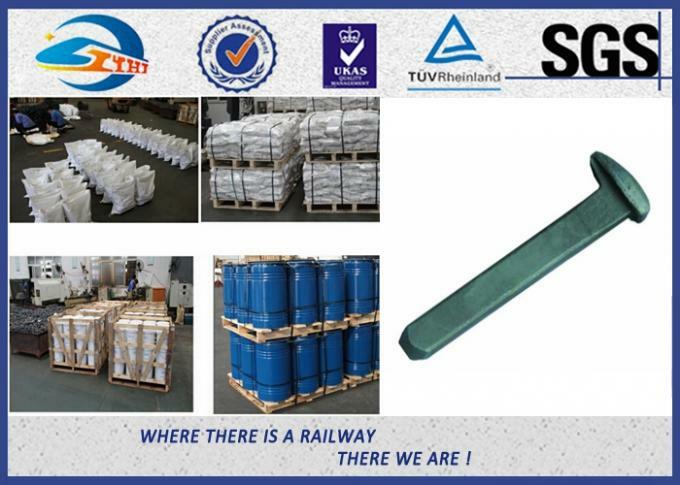 We have granted ISO9001-2000 certificates and have got the production license of China’s Railway Ministry on railway products. We have a full set of inspection instruments which makes sure all the products produced by us should be of high quality and up to customers’ requirements. Surface : plain (oil ). black paint . colour paint .zinc .hdg etc. Surface: plain (oil ). black paint . colour paint . zinc .hdg etc. Type : Ss5. Ss8. Ss25 . Ss36 ... all kinds available according to customers drawings and samples . Surface: plain (oil ). black . zinc .hdg etc. Type : All kinds available available according to customers drawings and samples . Raw material : Q235 . Surface : plain (oil ). black . zinc .hdg etc. Type : All kinds available according to customers drawings and samples . Surface : plain (oil ). black paint . zinc .hdg etc.